Hujeta gar (Ctenolucius hujeta) is a type of fish easily identified even by freshwater aquarium novices based on its elongated and slim body appearance. The mouth ends in a pointy shape with the upper jaw slightly longer compared to the lower jaw. The color of its body is generally gray while the fins are transparent. The tailfin forms into two rounded lobes and in every fish you will notice that there’s a black spot appearing close to the tailfin. Depending on the type of your aquarium lighting, Hujeta gar will display a magnificent golden glittering shine combined with slight blue color rays. The fish is actually a native species that belongs to the South American rivers especially in Colombia, Panama and Venezuela. In its natural habitat, you can find the fish will usually form a group of large numbers to hunts for its prey. In order to keep Hujeta gar in home aquarium, it is advised that one should keep the fish with much larger sized fish so that it will suppress its predatory instinct. With larger fish, it will be close to impossible for them to swallow and make a meal out of its tank mates. In order to provide the best aquarium care, the aquarist must pay particular attention especially to the pH of the water to maintain it within the region of 6.8 to 7.2 with water hardness between 5 – 20 dGH and water temperature around 25deg Celsius. In normal circumstances, with all the conditions met, an adult Hujeta gar can grow up to more than half a meter. 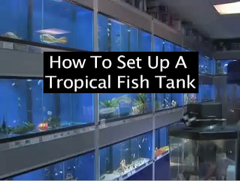 With that size in mind, the aquarist must ensure that there are adequate spaces in the fish tank for the species to thrive. When it comes to basic diet, live foods is a more preferred choice and they love small-sized feeder fish like goldfish, guppy, neon fish which they will try to swallow the whole victim in a gulp. Don’t be surprised and deceived by its pointed needle mouth as they are known to have patience swallowing bits by bits until the whole fish is inside its stomach. Other than that, you can also consider using worms and insects such as grasshopper and crickets to vary their diet.